Every few years, there’s a craze over some hot new toy that every child wants to unwrap on Christmas morning. In 1983, parents rushed to buy Cabbage Patch Kids, in 1996, it was Tickle Me Elmo, then there were Furbies. “Hatchimals are the most amazing things right now. I want them all,” said Sheila Canlas, a 25-year-old I went to high school with. Ideal for ages 5-11, it’s a fuzzy surprise in an egg that needs tender love and care for it to break out of its shell. Once hatched, kids can nurture and teach these interactive critters to walk, talk and more… whatever that means. No word yet on whether or not you should feed them after midnight. The toy is made by the Toronto-based Spin Master and in the past few days, has sold out completely as a result of the high demand. Even big retailers are out of stock online, resulting in some online re-sellers charging as much as $400 for the $80 toy. Peacekeeper Isabelle Nicholas purchased one of the popular toys for the “Our Little Angel Tree,” for Karonhiaráhstha’s Winter Wonderland. “At the Black Friday sale, my boss Jody Diabo and her husband Brian had gone to the States for the weekend, and when they got back decorating for the parade, she talked about purchasing one of these and didn’t have it set for anyone in particular,” said Nicholas. Eastern Door reporter Daniel J. Rowe, who often talks about his time working at Toys R Us to the office, said parents shouldn’t be too worried if they missed out on the toy craze. “I worked through three Christmases at the consumerist mecca of screaming kids that is Toys R’ Us and learned a few things about customers’ various irrational reactions to toy crazes, their awful kids demanding said toys and the reality of what happens to that useless Tickle Me Elmo sitting in an overstuffed bargain bin six months later,” said Rowe, who worked through crazes like Tickle Me Elmo, Pokémon cards, Furbies and a few new video game consoles. “First, the store generally leaves the item sold out until around Dec. 23 and then ALL OF A SUDDEN, they’re in stock! Wow! It’s almost as if the toy producer created a fake lack of supply and then at the last second corrected it by producing said product. How did they ever think that that would work? Oh right. Because it does every time,” he said. Give up trying to get your hands on Hatchimals this holiday season yet? Here are some other cool toys the Internet says your kids might like. Geared toward kids eight years old and up, this $19.99 piece of plastic comes in black or pink. 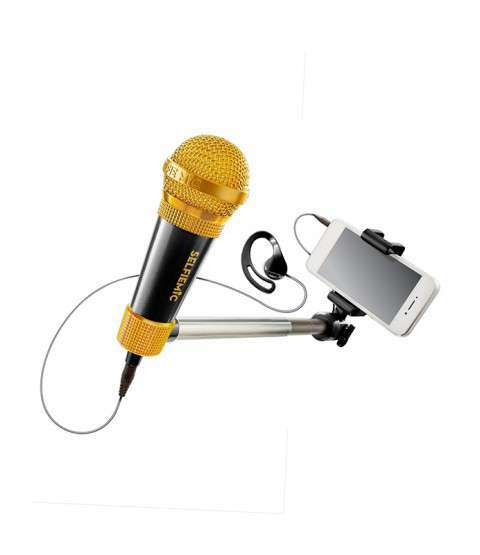 It’s like a selfie stick had a baby with a microphone and phone case – ideal to foster the little diva, or narcissist, in every pre-teen. It’s lip-smacking fun, apparently. 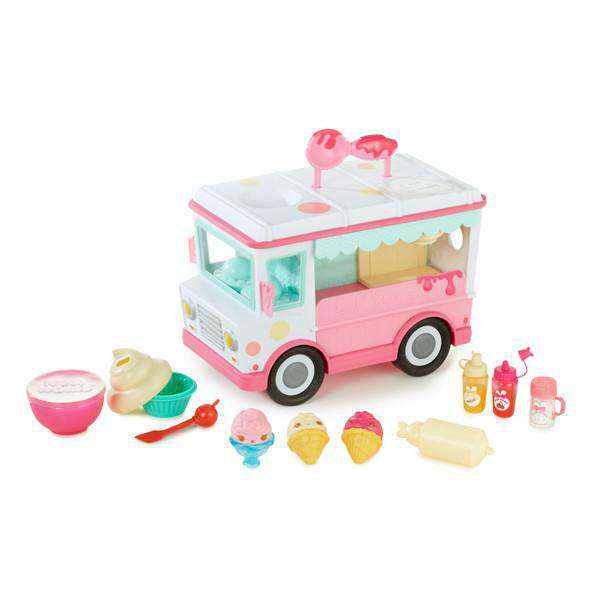 The little truck is ideal for ages three and up to mix their own flavoured lip gloss with cherry, vanilla, and tons o’ glittery fun. The little truck costs around $30, and is the first step of Kahnawa’kehró:non to becoming makeup snobs – they’ll be learning how to contour and cut crease their eye shadow in no time. 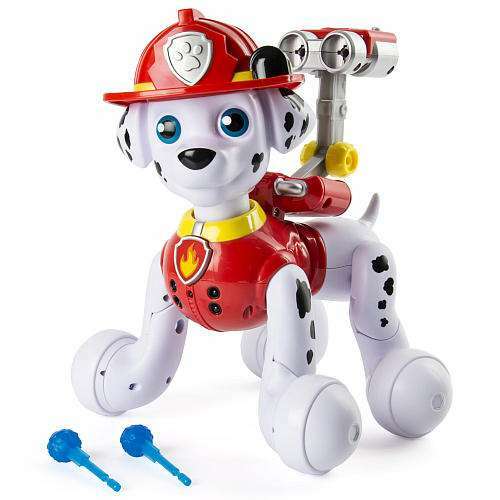 Three-year-olds crazy about Paw Patrol, brace yourself and get ready for ruff-ruff rescue missions with this walking, talking, interactive pup. Marshall is on duty to save the day, well, at least for around $70. All right, this toy is for the teenagers. 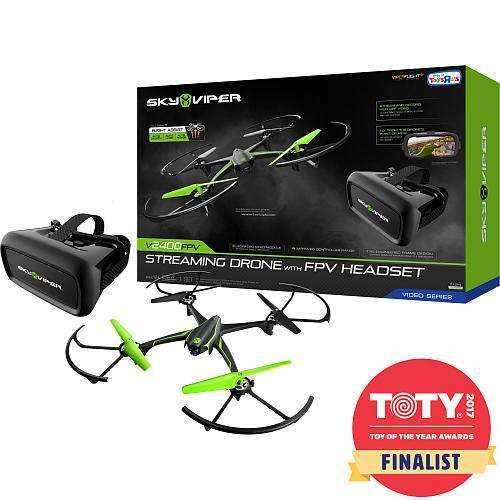 It’s priced at just over $100 and is apparently easy to fly. Drones are all the rage. Teens can soar and stream this awesome bad boy (safely) because it’s made just for them.